That’s right! 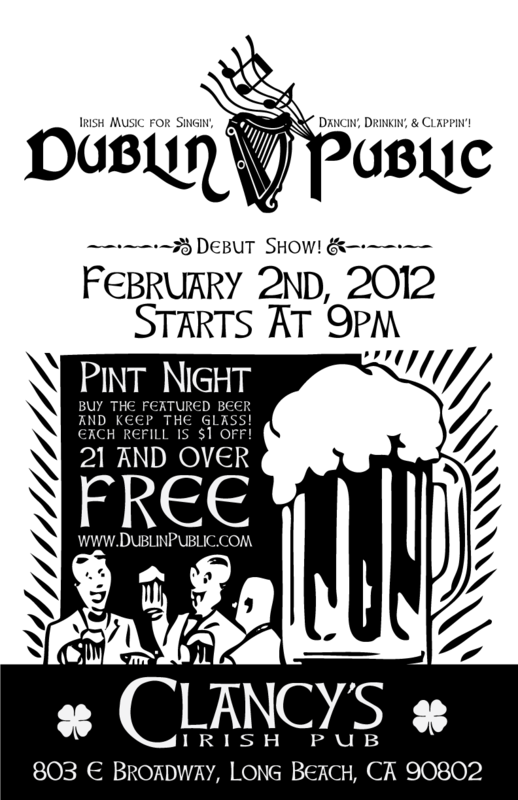 Dublin Public’s first official show is set for February 2nd at Clancy’s Irish Pub in Long Beach. Music will start at 9pm sharp so come on out for a late dinner and a pint to warm up for some fun. It just so happens to be “Pint Night” as well, where you get to keep the special glass the featured beer of the night comes in as well as enjoy $1 off each refill!. 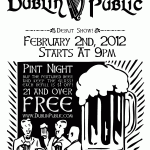 This is a FREE show, so come out and enjoy great Irish Music for Singin’, Dancin’, Drinkin’, and Clappin’!